Beer is enjoyment, it brings people together. That’s why we offer the right beer for every occasion, each with its own taste and character. Brewed with love in one of our breweries, throughout the world. This requires craftsmanship and freedom to follow your intuition. Intuition about how good beer should taste and how you brew it. Brewing beer has been in our genes for 300 years. You make success together. Our breweries each have their own history and character, but we are one. One in our passion for beer, one in our desire to bring it to the world. It starts with a good sense of quality, and we always look to see if we can further improve on it. Based on the intention to mean something to the other and to enter into a long-term relationship, we are curious about what our consumers and customers want and to share our thoughts. We are Swinkels Family Brewers, a 100% independent family brewer and proud of it. Thanks to three centuries of craftsmanship and a healthy entrepreneurial spirit, we have come to where we are today. With a deep respect for people and for our environment. Because in this respect too, we like to be ground-breaking. This is how we continue to pass a more beautiful Swinkels Family Brewers on to the next generation. We want to offer consumers the right beer for every occasion and have them enjoy it. We engage everything we have for this: our people, our resources, our whole heart. By conducting business in a socially responsible manner, we can pass on an even more beautiful brewery to the next generation. Because, as is said in the family: we have the brewery on loan from our children and grandchildren. Swinkels Family Brewers is one of the oldest family businesses in the Netherlands. You will notice this in the informal atmosphere, entrepreneurship and the course chosen for the long term. 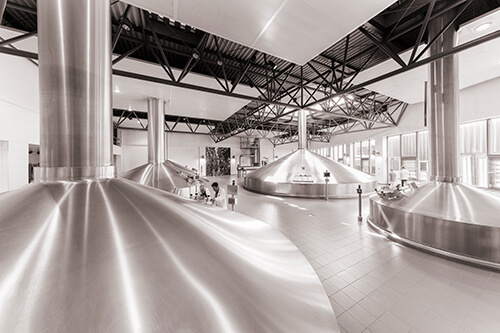 Curious for news from Swinkels Family Brewers or looking for image material? Here you will find all press releases, our annual report and our image bank.